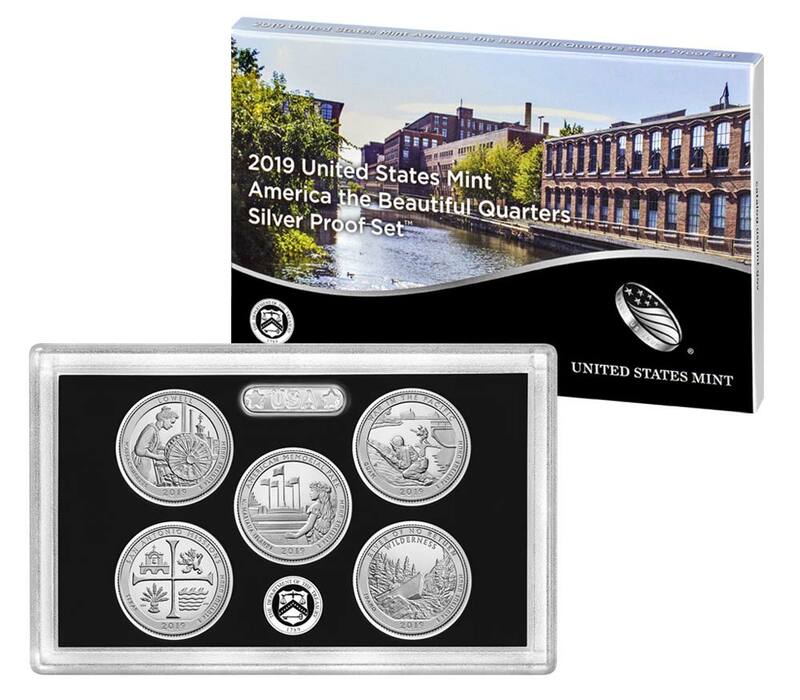 WASHINGTON – The 2019 United States Mint (Mint) America the Beautiful Quarters Silver Proof Set™ (product code 19AQ) will be available for purchase on February 21 at noon (EST). This set is priced at $36.95 and features all five 2019 America the Beautiful Quarters. Each coin is minted in 99.9 percent silver at the San Francisco Mint. Their reverse (tails) designs honor Lowell National Historical Park (Massachusetts), American Memorial Park (Commonwealth of the Northern Mariana Islands), War in the Pacific National Historical Park (Guam), San Antonio Missions National Historical Park (Texas), and Frank Church River of No Return Wilderness (Idaho). The obverse (heads) of all coins bear John Flanagan’s 1932 portrait of George Washington. Inscriptions are “UNITED STATES OF AMERICA,” “LIBERTY,” “IN GOD WE TRUST,” and “QUARTER DOLLAR.” A Certificate of Authenticity comes with each set.